Introduced in 1960, the Land Cruiser 40 Series was produced in multiple variants until 1984. 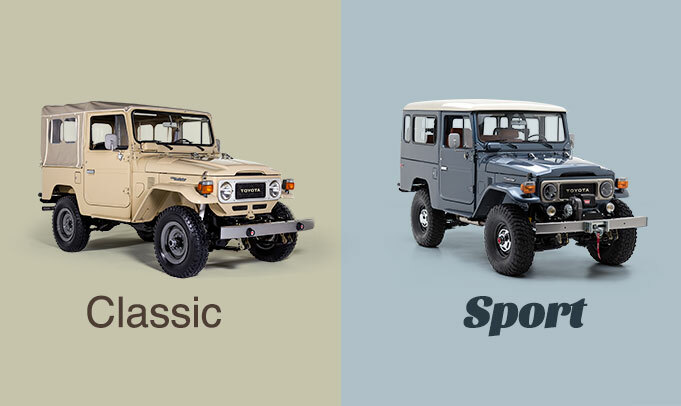 Mass-produced, using modern production and assembly techniques, this was the 4x4 line-up that made Toyota famous across the globe. Year after year, Toyota continued to expand and perfect the series, adding diesel- and gas-powered versions, as well as a number of different body types and styles. 1976 was a landmark year for the 40 Series, as it signaled the arrival of the more powerful and efficient 2F engine. The 40 Series included the short wheelbase FJ40, the middle wheelbase FJ43, and the long wheelbase FJ45. The FJ45LV ceased production in 1967 and is considered the holy grail of the 40 Series.